The Professional Scrum Master (PSM) course is a 2-day course that covers the principles and (empirical) process theory underpinning the mechanics, rules and roles of the Scrum framework. Advanced tools for servant-leadership are provided to increase a Scrum Master's effectiveness. These tools relate to behavioral shifts, working with people and teams, coaching and facilitation techniques, and addressing the organization. Students learn through instruction and team-based exercises, and are challenged to think in terms of the Scrum principles to better understand what to do when returning to the workplace. Scrum.org maintains the defined curriculum and materials for the Professional Scrum Master course and selects only the most qualified instructors to deliver this course. Each instructor brings his or her individual experiences and areas of expertise to bear, but all students learn the same core course content. This improves their ability to pass the Professional Scrum Master assessments and apply Scrum in their workplaces. The Professional Scrum Master course is specifically targeted to Scrum Masters, but the lessons are applicable to anyone in a role that supports a software development team's efficiency, effectiveness, and continual improvement. If you are a manager or a team leader responsible for the successful use and/or rollout of Scrum in a project or enterprise, this includes but not limited to project managers, IT managers, technical leaders and solution architects, this course is likely to be a good fit. Novices to Scrum are encouraged to attend this course. This program will be conducted with interactive lectures, PowerPoint presentations, group discussions, case studies, hands-on computer exercises and some games. Identify tools to lead and coach a self-organizing Scrum team in building high-quality software. Coach the development team to increase the team overall performance. Introduce, rollout and teach Scrum to team members, stakeholders and customers. Discover improvements for the current Scrum implementation in the organization. Plan and forecast a Scrum project to customers and stakeholders. Discover tactics and strategies to scale Scrum in large organization. The Professional Scrum Master course is primarily targeted at Scrum Masters and those responsible for the successful use and/or rollout of Scrum in a project or enterprise. Have passed Scrum Open Assessment.  Understand the basics of project management. Understand requirements and requirements decomposition. Have been on or closely involved with a project that builds or enhances a product. Have read one of the Scrum books. Want to know more about how Scrum works, how to use it, and how to implement it in an organization. Scrum theory includes time-boxing, and specific roles, rules, and artifacts. All elements of Scrum complement each other to form a consistent whole. All work is performed in Sprints. All base rules, events, and roles are described in the Scrum Guide, the acknowledged Scrum body of knowledge. Each part of Scrum ties back to the principles and theory. Scrum Events – Every events in Scrum is an inspect and adapt opportunity. How are these events important? What are the impacts of missing one of these? Scrum Role – Every role in Scrum has specific accountabilities. What are their accountabilities? Why are they important? How are they different to traditional project management roles? Scrum artefacts – Every artefacts in Scrum is transparent so organisation can inspect and adapt based on it. Why are these artefacts important? Sprint – The Sprint is the heartbeat of the Scrum framework. What is a Sprint? What are the criteria of a successful Sprint? Students will experience the Scrum framework by building a small website in multiple Sprints. Students will collaborate with other students to define a process within the Scrum framework. Explain why the artefacts, roles and events in Scrum are all important to a successful Scrum project. Discover suitable process within the Scrum framework for their organisation. Scrum is founded on empirical process theory to deal with the complexity typical to software development. All principles and values of Scrum are based on the fundamental view of software development as creative and complex work. How is empirical approach different to defined approach? What makes Scrum different to traditional project management approach? What is Agile? How does Agile relates to Scrum? Why should we be Agile and use Scrum? In what case is Scrum not suitable? Create matrix for projects that is suitable for Scrum. Create impact analysis for businesses using Scrum. Explain what is Agility and the relation to Scrum. Discover where Scrum is not suitable. Understand the impact of the transparency that Scrum brings and requires, and how Scrum is best used to increase an organization’s agility. Explain how Scrum implements empiricism in software development. Scrum Planning is different to traditional project management. Student will exercise tactics on planning and estimation in Scrum. Product Backlog and Sprint Backlog - The Product Backlog and Sprint Backlog is the plan in Scrum. How is planning in Scrum different traditional project management? What is the best practice to do Lean Planning in Scrum? How to do Product Backlog Refinement? Product Backlog management - Product Backlog reflects the roadmap of the Product. How do we do Product Backlog management in Scrum? Product Backlog ordering - Prioritization is one way to order Product Backlog. What are the other techniques to order the Product Backlog? Product Backlog decomposition - Product Backlog is decomposed so that it can be done in one Sprint. How do we decompose Product Backlog to ready to execute Sprint Backlog? Scrum Estimation - Estimation is Scrum is different. How do we plan a Scrum project? What is Story Points? How do we use it to forecast a Scrum project? How do we track a Scrum project? How to do Planning Poker to estimate Product Backlog Items. How to decompose a Product Backlog Items into smaller Product Backlog Items. How to decompose a Product Backlog Items into Sprint Backlog. How to plan a Sprint. How to forecast a release. Techniques in managing Product Backlog. The criteria of success in Scrum are different to traditional project management. Definition of Done - Everyone in the organisation should have the same understanding about “DONE”. What is “DONE”? What is the impact of not having “DONE” software every Sprint? Quality - What is required for a high-quality software? Does Scrum need documentation? List techniques and documentation that is required for Scrum project. Define what is required for high-quality software. Discover what documentation is required in Scrum. Scrum Teams are self-organizing and cross-functional; which is very different from traditional development groups. Scrum Teams are empowered to do the right thing. Discover what is required to generate a self-organising team. Get Scrum teams going, guide them along the way and help them continuously self-develop to become successful through better collaboration. Understand the people aspect of Scrum, how to work with people. Discover coaching techniques that is appropriate for the team. Scrum Masters can identify waste and scaling options within a team to increase the effectiveness of the team in delivering releasable software. Scrum Masters can guide an organization in scaling to multiple Scrum Teams working on one software product and in aligning development on product lines or multiple interconnected products. Scaling techniques in an organisation. Strategy to roll out Scrum in an organisation. Discover what is required to rollout Scrum in the organisation. Create a strategic plan to rollout Scrum in the organisation. This course put emphasize on one of the role in Scrum – the Scrum Masters. Scrum Masters are servant-leaders with distinct skills. Identify who is the Scrum Master. 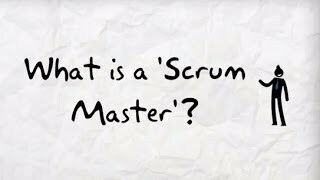 Explain what makes Scrum Master different to traditional Project Manager. Discover skills and traits are required for Scrum Master to be successful in his role. The Professional Scrum Master course has two associated assessments and certification: Professional Scrum Master level I (PSM I) and Professional Scrum Master level II (PSM II). These industry-recognized certifications require a minimum passing score on the associated rigorous assessment. Naveen focus more on agile engineering practices and support development team in learning and adopting engineering practices such as Test Driven Development (TDD), Acceptance Test Driven Development (ATDD), Behavior Driven Development (BDD), Pair Programming, DevOps, Emergent Design, and Specification by Examples, Continuous Integration, Continuous Delivery and Agile Testing etc. Naveen is active in agile community and participate is major events as speaker and volunteer. He has presented papers in Global Scrum Gatherings as well as in many other Scrum Alliance conferences and meet-up. He writes blog on agile, scrum, Kanban and technical practices. Lorenz Cheung is the first and only Professional Scrum Trainer in Hong Kong and is one of the twelve PST in the world certified to teach all range of Scrum.org courses. He teaches in Hong Kong, China, Singapore and Malaysia. He learned Scrum from the master, Ken Schwaber, the co-founder of Scrum. Lorenz has 8 years / 11000+ hours of experience as Scrum Master. He has been leading Agile Software Development in Hong Kong and London for 12 years, from small start-ups of 2 people to large enterprises with more than 30000 people. With a software Engineering background in Web & Mobile, Lorenz has a wide range of technical skills and is able to coach development team engineering practices, software development principles. He also works closely with Senior Management, CxO levels for Business and Product Strategy. His strong business background combined with his deep technical understanding gives Lorenz a unique perspective. He understands the expectations that business has of technology and has the practical experience on how to bring business agility to Enterprise. He just led the team to achieve Best Mobile App at Hong Kong ICT award 2016.